Discussion in 'Law & Justice' started by SAUER, Feb 2, 2013. In spite of all actions of law enfourcement the cybercrime does pay. waltky and (deleted member) like this. February 12th, 2013 - Having run out of patience for Congress to act on a cybersecurity bill, President Obama has decided to take matters into his own hands. Obama signed an executive order on Tuesday addressing the country's most basic cybersecurity needs and highlighted the effort in his State of the Union address. "We cannot look back years from now and wonder why we did nothing in the face of real threats to our security and our economy," Obama said. The order will make it easier for private companies in control of the nation's critical infrastructure to share information about cyberattacks with the government. In return, the Department of Homeland Security will share "sanitized" classified information with companies about attacks believed to be occurring or that are about to take place. The order also directs the government to work with the private sector on standards that will help protect companies from cybercrime, though there is nothing in the order about how this will be enforced. This is hardly comprehensive, but at least it's something aimed at protecting our nation's power, water and nuclear systems from attack. That's more than Congress can say it has accomplished. Lawmakers failed to pass any of the dozens of cybersecurity bills aimed at meaningfully securing critical infrastructure from an online criminals. Meanwhile, the number of attacks on critical infrastructure companies reported to a U.S. Department of Homeland Security cybersecurity response team grew by 52% in 2012, according to a recent report. Several of them resulted in successful break-ins. While Obama's plan to remedy the problem is a start, critics say it has major limitations that make the order virtually meaningless. "It doesn't have any teeth; it has no backing," said Rob Beck, critical infrastructure cybersecurity consultant for Casaba Security. "This is not going to have any measurable impact on anything." Administration officials acknowledged the order's limitations on Tuesday, but insisted the changes will have a meaningful impact. Unlike Congress, the president alone does not have the power to protect companies from lawsuits when they are engaged in information sharing. Since the data they'd be handing over to the federal government could include private information from customers, companies likely won't share that information without guaranteed protections. "Businesses have to be good citizens, but they also have to be concerned about their liabilities and interests of their users," said Evan Brown, senior counsel with InfoLawGroup, a law firm focused on digital privacy and cybersecurity issues. "There are all kinds of ramifications if companies are found not to be good protectors of user privacy." 2/27/13  President Obamas executive order on national cybersecurity could result in new regulations for companies that operate key infrastructure, according to Michael Daniel, the White Houses cybersecurity coordinator. Daniel said new regulations could be needed to create a backstop to address security gaps in the computer systems and networks of the nations water systems, electric grid and other critical infrastructure. Some observers have said the administrations order, issued earlier this month, lacks teeth because the bulk of its measures are voluntary. The order creates a program led by the Homeland Security Department where critical infrastructure operators would join on a voluntary basis and agree to follow a set of cybersecurity best practices and standards crafted jointly by the Commerce Department and the industry. But Daniel noted that a key part of the order directs primary regulators  including the Treasury and Energy departments  to review their current regulations and requirements and align them with the standards included in the cybersecurity framework developed by the Commerce Departments National Institute of Standards and Technology. That could result in the agencies taking new executive actions or crafting updated regulations to bring their rules up to speed with the framework. Theyre to compare their current requirements and regulations against that framework, and if they are not sufficient and the companies [are] not participating in the voluntary program for whatever reason, that those regulators could take action to try to bring their requirements and regulations up to the level of the framework, Daniel told The Hill in an interview at the RSA cybersecurity conference. I think from the administrations perspective, we view that as kind of the backstop. This is very significant stuff, and I think the president believes ... we need to have that backstop to make sure that were getting the cybersecurity of that critical infrastructure up to the level of the framework, he added. The U.S. Chamber of Commerce criticized the executive order when it was issued, saying that it opposes the expansion or creation of new regulatory regimes. But the White House cybersecurity chief said this section of the cyber order is needed to help critical infrastructure thwart cyberattacks that could lead to catastrophic damage in the physical world. In the near term, the White House will focus on overseeing the implementation of the measures in the executive order, while it is also working on a set of legislative principles to help guide Congresss work on cybersecurity legislation. Daniel said the principles will be similar to those outlined in the cybersecurity legislative proposal the administration delivered to Congress in May 2011, such as stiffening criminal statutes for cyber crime and creating a national data breach notification law that tells companies when they need to report a security breach to the government. He said the forthcoming set of principles will not include bill text, but will reaffirm the administrations support of the 2011 legislative proposal. In Washington, the administration and Congress are engaged in an intense debate about the looming $85 billion automatic budget cuts. Daniel warned that the cuts will affect cybersecurity programs across the federal government and potentially the implementation of the executive order. March 12, 2013 - A senior White House official is calling on China to take "serious steps" to stop cybercrimes, saying the issue is a "growing challenge" to U.S.-China relations. National Security Advisor Tom Donilon on Monday called on China to acknowledge the scope of the problem and engage in talks with the U.S. on acceptable behavior in cyberspace. Chinese foreign ministry spokesperson Hua Chunying said Tuesday that Beijing was open to talks, but insisted that China is a victim, not perpetrator of computer crimes. "What the Internet needs is not war, but rules and cooperation. China is willing, on the basis of the principles of mutual respect and mutual trust, to have constructive dialogue and cooperation on this issue with the international community, including the United States, to maintain the security, openness and peace of the Internet," he stated. Several large U.S. technology companies, including Apple, Facebook, and Twitter, were hacked earlier this year. The New York Times, Wall Street Journal, and Washington Post newspapers also say they were attacked by China-based hackers. Last month, U.S. Internet security group Mandiant accused the Chinese military of stealing large amounts of data from about 150 U.S. companies and organizations. China's defense ministry denied the charge, saying Mandiant's report lacked proof. It also returned the accusation, saying several Chinese military websites have been attacked by U.S.-based hackers. U.S. officials have increasingly criticized China-based computer hacking attempts. But they have been less pointed in making direct accusations against the Beijing government, instead hoping to use talks to solve the problem. Duncan Clark, chairman of technology consultancy BDA, tells VOA that cautiously raising the issue with Beijing could bring good results. "I think letting them know that we know [about the hacking] is probably not a bad strategy. But interestingly, this [Mandiant report] wasn't something that came directly form the U.S. government. There has been debate about whether to do this, but it was helpful that this report came from a private sector player, in the sense that there's still some room for maneuvering there," said Clark. March 12, 2013  The top U.S. intelligence official says automatic government spending cuts are reducing the nations ability to detect and respond to threats across the globe, from terrorist plots to the nuclear ambitions of North Korea and Iran. The comments were made in testimony before the Senate Select Committee on Intelligence. National Intelligence Director James Clapper told senators Tuesday that budget sequestration is degrading Americas early warning apparatus for threats at home and abroad. Let me now be blunt for you and the American people," he said. "Sequestration forces the intelligence community to reduce all intelligence activities and functions, without regard to impact on our mission. Clapper said intelligence agencies will have to, in his words, do less with less. "We will reduce human, technical and counter-intelligence operations, resulting in fewer collection opportunities, while increasing the risk of strategic surprise [being attacked], he said. The national intelligence director provided an example. Our cyber efforts will be impacted," he said. "This is an area where, you all know, we need to keep ahead of rapid technology advances to maintain and increase access to adversaries, as well as provide warning of a cyber attack against the U.S. Clapper said the September 11, 2001 terrorist attacks demonstrated the consequences of inadequate intelligence capabilities - a mistake he said the nation risks repeating. Unfortunately, I have seen this movie before. Now, if we are not careful, we risk another damaging downward spiral, he said. Clapper said the timing of across-the-board budget cuts could not be worse for intelligence agencies. In my almost 50 years in intelligence, I cannot recall a period in which we confront a more diverse array of threats, crises and challenges around the world. To me, this makes sequestration even more incongruous," he said. The national intelligence director urged Congress to give the intelligence community flexibility in implementing budget cuts to minimize their impact on national security. Senators of both parties on the Intelligence Committee voiced support for the request. We are committing to do everything within our power to ensure that the resources are there to allow you to continue to do what you are asked to do every single day, said Republican Saxby Chambliss. The committees chairwoman, Democratic Senator Dianne Feinstein, said she will press the Senate to authorize greater budgeting flexibility for intelligence agencies. This week, the chamber is debating a bill to fund the U.S. government for the remainder of the fiscal year. Cybersecurity bills almost always (near universally) sacrifice the liberty of all for the security of a few. I just hope this is not just being used as an excuse to consolidate more regulatory power over the internet. DDoS attacks use primarily the same tactics as a DoS attack but from multiple source computers. These computers are usually controlled remotely through vulnerabilities or previous malware infections. Vulnerability attacks exploit existing deficiencies in the operating software of a computer. These bugs can be used to either disable the targeted computer, or in some instances can be used to cause the targeted computer to attack a second computer, without the knowledge of the targeted computer's owner. The greater the network integration of a target countrys infrastructure, the greater its potential vulnerability. Georgia and Estonia suffered limited real world consequences from their attacks largely due to their limited reliance on cybernetic networks. In a country as reliant as the United States, hypothetical targets include the disabling of water purification systems, the intentional misrouting of trains causing massive collisions,the disruption of air-traffic control, the intentional opening of dams, and potentially the meltdown of nuclear reactors, all resulting in significant loss of life and property very much on par with damage caused by traditional weaponry. breadth of their impact make them a serious threat to the security of a State. With all of our advanced weapons and our need to 'project American strength' our greatest threat comes from a attack we can't see. We are supposed to trust that ten hundreds.. thousands..? of people in places like homeland security in charge of making sure we aren't being attacked aren't diddling around on some video game, facebook or other various social media with addictions to persons they've been watching and using to try to hide their bad behavior, high on their ability to snoop and cyber attack with impunity are actually doing their job? Who watches over these people? I doubt anyone does. As long as they can hand in a report about Abu someone said on facebook Monday.. whatever they're good. I think these snooping jobs will eventually be given to machines so just interpretation of data, creating reports..no hobbies, no psycho stalker. paradise ! Rather than our nation's security being reliant on clarity coming out of feeding online addictions in homeland security that guarantee to invade our privacy but cannot give the same guarantee to protect the nation or could even bring on the terminator, couldn't we just make this country's infrastructure less integrated and go 'the way of the strong' like in Estonia and Georgia? Apr 13,`13 WASHINGTON (AP) -- If a purse with $900 is stolen, the victim probably would call the police. If a computer hacker steals $900 from that same person's bank account, what then? Call the police? Could they even help? As it is now, local police don't have widespread know-how to investigate cybercrimes. They rely heavily on the expertise of the federal government, which focuses on large, often international cybercrimes. What's missing is the first response role, typically the preserve of local police departments that respond to calls for help from individuals and communities. Obama administration officials have said that cyberterrorism is the leading worldwide threat to national security. So far, the discussion about such threats and security has focused on breaking classified foreign government codes, monitoring overseas communications and protecting the U.S. from devastating attacks that could jeopardize massive amounts of data and valuable corporate trade secrets. It's been about businesses protecting their networks and individuals using the Internet safely, for instance, by choosing smart passwords. But when one person hacks into someone else's computer to access a bank account, credit cards or even email, the crime fighting path is uncertain. "I am not sure who owns cybercrime at the local level. And that is a problem," said Chuck Wexler, executive director of the Police Executive Research Forum. Local police departments are looking to boost their expertise so they can respond to cybercrimes and cyberthreats that are expected to only get worse. The hypothetical victim who had $900 stolen from the bank account should call the police, and the police should document the theft in a report, said Darrel Stephens, executive director of the Major City Chiefs Association, which represents police chiefs in major U.S. metropolitan areas. "What they can do after that gets very complicated," Stephens said. For instance, police departments work within jurisdictions, but cybercrime knows no boundaries. "The victim may live in one place, their bank is in another jurisdiction and the person that committed the theft could be anywhere in the world," Stephens said. Then there's the matter of determining who the victim is. Most banks and credit card companies typically replace the accountholder's stolen funds, he said, which makes the banks and credit companies the victims of the theft. "Most local police do not have the capacity to investigate these cases even if they have jurisdiction," Stephens said. 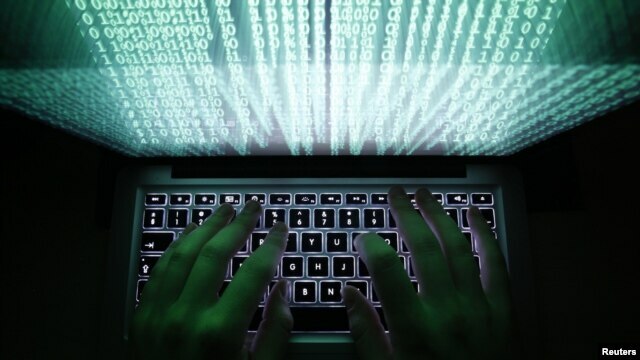 14 May`13 WASHINGTON (Reuters) - The FBI last month gave temporary security clearances to scores of U.S. bank executives to brief them on the investigation into the cyber attacks that have repeatedly disrupted online banking websites for most of a year. Bank security officers and others were brought to more than 40 field offices around the country to join a classified video conference on "who was behind the keyboards," Federal Bureau of Investigation Executive Assistant Director Richard McFeely told the Reuters Cybersecurity Summit on Monday. The extraordinary clearances, from an agency famed for being close-mouthed even among other law enforcement agencies, reflect some action after years of talk about the need for increased cooperation between the public and private sectors on cybersecurity. The attacks, which have been ascribed by U.S. intelligence officials to Iran, are seen as among the most serious against U.S. entities in recent years. McFeely declined to discuss details of the investigation, including what the banks had been told and whether Iran was behind the attacks. Banks have spent millions of dollars to get back online and make sure they can stay online. JP Morgan Chase & Co, Bank of America, Wells Fargo, Citigroup and others have been affected. McFeely said the one-day secrecy clearances are part of a broader effort by the FBI to communicate more with victims of cybercrime, some of whom feel that cooperating with federal authorities carries too much risk of exposure to investor and media scrutiny. A February executive order from President Barack Obama called for expedited security clearances. McFeely, who began overseeing FBI cyber and criminal cases last year, said the agency was changing its approach after being "terrible" in the past about keeping targeted companies informed of progress in investigations. "That's 180 degrees from where we are now," McFeely said at the summit, held at the Reuters office in Washington. I have an idea stop using computers and put everything sensitive or financial into paper files or on closed internal options set apart from the internet. If cybercriminals couldn't hack anything and say banks used passbooks and made people come in to do business there would be no more issues. Second use cash not any other options unless just like cash, debit gift cards and reloadable debit cards with a fixed financial limit. Do the same for every other option that is sensitive you can't hack a power grid if its key points are all manual, computers should be to assist and even then again internal closed systems. I think these snooping jobs will eventually be given to machines..
oh but there would be problems with that too. I keep having visions of terminator. you get worried dontcha know. Its about people and trust which is why their jobs exist and why they're going to cut 90% of their administrators and give those jobs to machines. Sep 13,`13 -- A daring attempt to graft a rogue piece of hardware onto a computer at a London branch of Spanish bank Santander could have drained millions from its coffers, police said Friday, an indication of the potential for electronic crime to tear huge chunks off financial institutions' balance sheets. London police and Santander said in a joint statement that 12 suspects were arrested Thursday following an attempt by a bogus maintenance engineer to install a keyboard-video-mouse - a device typically used to control several computers at once - onto one of the bank's computers at a branch located in a south London shopping center. Few other technical details were released, but the statement said that the hardware would have allowed the transmission of the entire computer's desktop and "allowed the suspects to take control of the bank's computer remotely." Writing on the blog of Internet security firm Sophos, John Hawes said it wasn't clear how much damage the would-be robbers might have done "even with access to a workstation." "If the systems were well controlled, secured and monitored, there should still have been plenty of obstacles to overcome before they could find their way into sensitive parts of the network, and move virtual cash out of the bank's systems," he said. Police said they took the attempted robbery very seriously. In their statement, Det. Insp. Mark Raymond described it as a "sophisticated plot that could have led to the loss of a very large amount of money from the bank." The force put the potential losses in the millions of pounds - although it stressed that no money was ever withdrawn. It's not clear from the statement whether the person masquerading as an engineer was arrested at the scene. Police said that all but one of the 12 suspects, ranging in age from 23 to 50, were apprehended in the same west London neighborhood. The scale of the potential theft is another reminder of the huge amounts that can be stolen by tech-savvy criminals. U.S. investigators say that one gang operating across 27 countries recently managed to steal $45 million in two separate sprees after compromising payment systems used by two Middle Eastern banks. The suspects in the latest heist remain in custody. Police said searches were being carried out in six different locations in the greater London area. Santander said none of its staff were involved in the attempted heist. Sep 13,`13 -- Helsinki Police say they detained a hacker last weekend suspected of accessing thousands of usernames and passwords of visitors to more than 300 websites. Police spokesman Jukkapekka Risu said officers arrested an unnamed local man, who allegedly acknowledged his actions. Officers are analyzing his confiscated computers. They declined to give more details. The Finnish Communications Regulatory Authority warned Friday that the suspect might have accessed "usernames and passwords of hundreds of thousands of Finns," mostly from chat forums, adding that the attacks were not aimed at banks. Erkki Mustonen from global computer security company F-Secure Corp. said it was one of the biggest hacker attacks in the Nordic country to date and could have been prompted by a desire for the hacker to demonstrate his skills. October 25, 2013 ~ The FBI is looking for a Romanian national who led a band of cyber fraudsters that bilked unsuspecting Americans of millions of dollars on eBay and other sites. One of the largest ever cyber attacks is slowing global internet services after an organization blocking "spam" content became a target. After the 'sellers' reached an agreement with the victim buyers, they would often email them invoices purporting to be from Amazon Payments, PayPal, or other online payment services, with instructions to transfer the money to the U.S. bank accounts used by the defendants. Romania is considered to be a hotbed of cybercrime. Dammit! Thought this was about robots committing crimes. Come on already, I've been waiting for a zombie apocalypse or war with the machines for ages now. May 16,`14 -- A Phoenix man has been sentenced to 20 years in federal prison for his role in what authorities say is an unprecedented criminal case involving an international cybercrime syndicate with hundreds of thousands of U.S. victims. A federal judge in Las Vegas imposed the sentence Thursday on David Camez, 22, who already is serving a seven-year term in Arizona for similar crimes. Camez, who was convicted of racketeering charges late last year, is the first of 55 members of the Las Vegas-based "Carder.su" syndicate to go to trial. They were charged in four separate indictments in 2012. About 20 defendants have pleaded guilty. Of the handful who have been sentenced so far, all have drawn only two years in prison. Two dozen defendants, including the group's Russian leaders Roman Zolotarev and Konstantin Lopatin, are still at large, authorities said. The case marks the first time the Justice Department has used federal racketeering statutes to go after a cybercrime syndicate, the Las Vegas Review-Journal reported ( http://bit.ly/1nWWtxR ). "As shown in this case, cybercrime has grown into an industry and is rapidly overtaking traditional crime, such as bank robbery," Nevada U.S. Attorney Daniel Bogden said. "Cybercrime was once viewed as the crime wave of the future, but in reality that threat is here now." The syndicate is accused of victimizing hundreds of thousands of Americans and several financial institutions, and of committing more than $50 million worth of financial fraud. Prosecutors say its scheme revolved largely around the buying and selling of pilfered debit and credit card information on an Internet site called Carder.su. The secretive criminal organization had more than 7,800 members worldwide. Camez became involved at the age of 17. "Camez was a member of a vast criminal organization that facilitated rampant cyberfraud throughout the world," said David O'Neil, acting assistant attorney general of the Justice Department's Criminal Division. "This organization is the new face of organized crime - a highly structured cyber network operated like a business to commit fraud on a global scale." Michael Adams, a Secret Service agent who infiltrated the crime ring, testified Thursday that federal agents recovered 210,000 stolen credit and debit account numbers in raids. Camez, whose online nicknames were "Bad Man" and "Doctorsex," had nearly 2,000 compromised account numbers in his possession, Adams said. He also was ordered to share in restitution of nearly $51 million. During sentencing, U.S. District Judge Andrew Gordon said he had sympathy for the victims because he also has experienced identity theft. "You appear to be a pretty smart guy," Gordon told Camez. "It's a shame you used your talents in a bad way. Your history tells me I need to protect the public from you." May 28,`14 -- The hackers are winning, according to a survey of 500 executives of U.S. businesses, law enforcement services and government agencies released Wednesday. The 12th annual survey of cybercrime trends found that online attackers determined to break into computers, steal information and interfere with business are more technologically advanced than those trying to stop them. The survey was co-sponsored by San Jose, California-based business consulting firm PwC, the U.S. Secret Service, the CERT Division of Carnegie Mellon University's Software Engineering Institute and CSO security news magazine. Three out of four respondents said they had detected a security breach in the past year, and the average number of security intrusions was 135 per organization, the survey found. "Despite substantial investments in cybersecurity technologies, cyber criminals continue to find ways to circumvent these technologies in order to obtain sensitive information that they can monetize," Ed Lowery, who heads the U.S. Secret Service's criminal investigative division, said in a written statement. Lowery said companies and the government need to take "a radically different approach to cybersecurity," which goes beyond antivirus software, training employees, working closely with contractors and setting up tighter processes. The top five cyberattack methods reported in the survey were malware, phishing, network interruption, spyware and denial-of-service attacks. And 28 percent of respondents said the attackers were insiders, either contractors or current and former employees or service providers, according to the survey. June 02, 2014 WASHINGTON  Police agencies in the United States and around the world have disrupted two computer crime networks that officials say stole more than $100 million from thousands of people. Also, the U.S. government has charged a Russian national with a string of crimes as a mastermind in the computer attacks. Deputy U.S. Attorney General James Cole says one scheme was called "Gameover Zeus" and its victims are spread around the world, often including small and medium-sized businesses. "Gameover Zeus is the most sophisticated and damaging botnet [network of computers that communicate with its creator] we have ever encountered," said Cole. Gameover Zeus used malicious software to steal a victim's banking password so the criminals could take money out of victim's bank accounts. A second scheme was called "Cryptolocker." It used a computer virus to encrypt the content of a victim's computer. That meant users could not get to family photographs, tax records, emails, and other important files. The cyber crooks demanded ransom, often in the form of hundreds of dollars worth of the cyber currency bitcoin, to unlock the computer. Officials say the scheme infected hundreds of thousands of computers and netted tens of millions of dollars in ransom. A top Justice Department official, Leslie Caldwell said law enforcement will slow this kind of criminal activity for a short time. We fully expect that these schemes will re-emerge and will evolve as the criminals target and infect new victims," said Caldwell. U. S. Justice Department officials have indicted (formally accused) Russian national Evgeniy Bogachev, who has not been apprehended, on charges of computer hacking, conspiracy, fraud, and money laundering. The investigation involved private computer companies around the world and authorities in many nations, including Australia, New Zealand, the Netherlands, Britain, Canada, France, Italy, Germany, Luxembourg, and Ukraine. 9 June`14 - Cyber crime costs the global economy about $445 billion every year, with the damage to business from the theft of intellectual property exceeding the $160 billion loss to individuals from hacking, according to research published on Monday. A conservative estimate would be $375 billion in losses, while the maximum could be as much as $575 billion, said the study, sponsored by security software company McAfee. "Cyber crime is a tax on innovation and slows the pace of global innovation by reducing the rate of return to innovators and investors," Jim Lewis of CSIS said in a statement. "For developed countries, cyber crime has serious implications for employment." The world's biggest economies bore the brunt of the losses, the research found, with the toll on the United States, China, Japan and Germany reaching $200 billion a year in total. Losses connected to personal information, such as stolen credit card data, was put at up to $150 billion. About 40 million people in the United States, roughly 15 percent of the population, has had personal information stolen by hackers, it said, while high-profile breaches affected 54 million people in Turkey, 16 million in Germany and more than 20 million in China. August 27, 2014  A new trend in cyber attacks may be unfolding: the "smash and grab" campaign. One such attack recently targeted a massive number of JPMorgan Chase customers on August 19. While most phishing perpetrators attempt to disguise their efforts and extend the shelf life of their attacks, this exploit was fearless  disregarding stealth measures and launching a multi-pronged attack that wasn't concerned about the threat of detection. The FBI is looking into cyber attacks on U.S. banks, reportedly as possible cases of Russian retaliation for U.S.-backed sanctions enacted over the crisis in Ukraine. According to Bloomberg, investigators are considering the possibility that recent hacking of JPMorgan is connected to a series of data breaches at European banks. These infiltrations are said to have exploited "a similar vulnerability," and required enough technical expertise to raise the possibility of government involvement. The timing has also raised suspicions: since Vladimir Putin's government became heavily involved in Ukraine's civil conflict, there has been a reported increase in cyber attacks on U.S. banks launched from Russia and Eastern Europe. Researchers at Proofpoint, a data security firm, discovered the large-scale phishing attack on JPMorgan accounts, which apparently originated in Moscow. Proofpoint saw 150,000 emails in its system alone on the first day of the attack. Other email systems have not reported numbers affected. The attack begins with a typical ploy: an email urging you to click to view a secure message. The graphics are clean and believable, with the JPMorgan logo and none of the common typos and clunky language found in many phishing efforts. Aug 28,`14 -- JPMorgan Chase, the nation's biggest bank by assets, is working with law enforcement officials to investigate a possible cyberattack, said a person familiar with the situation who spoke on condition of anonymity, though the bank isn't currently seeing any unusual fraud activity at the time. Jamie Dimon, the bank's CEO, said in this year's annual report to shareholders that despite spending millions on cybersecurity, JPMorgan remained worried about the threat of attacks. By the end of this year, the bank estimates that it will be spending about $250 million annually on cybersecurity and employing 1,000 people in the area. The FBI said in a statement Wednesday that it was working with the Secret Service to determine the scope of recent cyberattacks against "several American financial institutions." The agency did not name the companies that had been targeted. Major U.S. banks said that they had been unaffected by the attacks. Bank of America spokesman Dan Frahm said the bank had not seen any unusual activity regarding cyberattacks. Citigroup had no information to suggest that it was the victim of an attack, said a person familiar with the situation who spoke on condition of anonymity. Wells Fargo said in a statement that it had not been seen an impact from the attacks. Banks face "thousands" of attempted attacks on their computer systems every day, though the majority of incidents remain unreported, said Avivah Litan, a cyber security expert at Gartner. "There are lots of bad guys out there, continually probing bank networks, trying to get in," Litan said. The perpetrators of the attacks range from financial hackers, who are typically based in Eastern Europe and Russia, to "hactivist" groups such as Anonymous, who are trying to make social and political statements, she said. Countries such as China also engage in cyberattacks in an attempt to steal intellectual property. Customers who notice any suspicious activity on their accounts should contact the bank, said JPMorgan spokesman Michael Fusco. He also noted that JPMorgan customers are protected against losses from fraud. Aug 27,`14 -- The FBI said Wednesday it's working with the Secret Service to determine the scope of recently reported cyberattacks against several U.S. financial institutions. A report on Bloomberg.com said Wednesday that the FBI is investigating an incident in which Russian hackers attacked the U.S financial system this month in possible retaliation against U.S. government-sponsored sanctions aimed at Russia. The attack, Bloomberg said, led to the loss of sensitive data. Bloomberg cited security experts saying that the attack appeared "far beyond the capability of ordinary criminal hackers." The New York Times, citing people familiar with the matter, said JPMorgan Chase and at least four other firms were hit this month by coordinated attacks that siphoned off huge amounts of data, including checking and savings account information. JPMorgan spokeswoman Trish Wexler said large companies experience cyberattacks nearly every day. "We have multiple layers of defense to counteract any threats and constantly monitor fraud levels," said Wexler, who did not confirm the reports. The Wall Street Journal cited unnamed sources in a report that called the attacks a "significant breach of corporate computer security." JPMorgan is the largest U.S. bank by assets. The FBI said in a statement that combating cyberthreats and criminals remains a top priority for the U.S. government and that it's "constantly working with American companies to fight cyber attacks." Oct 2, 2015 - Cyber criminals are posing as CEOs of companies and conning lower-ranking staff into transferring large sums of money to them, Europol has warned in a major review of online threats. The European Union's law enforcement agency said fraudsters were emailing, or even phoning, employees with access to company funds and instructing them to carry out their urgent demands. Subsidiaries of multinationals are being targeted in this new area of cyber crime, as staff in regional offices often do not know senior management in holding companies "and may be fearful of losing their job if they do not obey", the report warns. The Internet Organised Crime Threat Crime Assessment 2015 (iOCTA), a wide-ranging review of developing online criminal threats on issues from child abuse to e&#8209;fraud, also said the rise in non-card transactions had encouraged an "arms race" between cyber criminal entrepreneurs devising new attack methods, and the card industry as it develops counter-measures to protect customers and businesses. The most recent figures available showed there were 1.44bn in fraudulent transactions in 2013 - a rise of 8 per cent on the previous year. The report also warned that cyber crime is becoming increasingly hostile and that cyber security is lagging behind. "Instead of subterfuge and covertness, there is a growing trend of aggression in many cyber attacks, and in particular the use of extortion, whether it is through sexual extortion, ransomware or Distributed Denial of Service [DDoS] attacks," it said. Sep 21, 2015: When a managing director of a popular ice cream manufacturing company in the city opened his computer recently to access his company's database, he saw a message that startled him. "Pay $1,000 to get your data back and do the payment in Bitcoins." The perplexed MD tried to refresh and restart the machine, but the message kept repeating. Most of the company data had been encrypted, cutting off his access to it. In short, the database had been hacked and the hackers were demanding money to decrypt the data. The new trend of 'cyber extortion' has the cyber crime wing of the Hyderabad police on tenterhooks. "An incident of data being kept hostage was first reported a year ago. At that time, we did not take it seriously. But when another victim came with a similar complaint in late July, we realised that it's a new modus operandi," assistant commissioner of police (Cyber Crimes) B Anuradha told TOI. "The victims could not access their data as it was controlled by the hackers," she explained. It was found that hackers were penetrating the weak security systems of several companies and demanding payment in Bitcoins, which the police are now terming as the hawala system of cyber space. Also in the recesses of the world wide web are several rogue websites that are putting up for sale the confidential information belonging to individuals. The information sold can range from email IDs to Aadhaar and bank account numbers. "The personal information of people is getting leaked by unscrupulous employees of banks, who are approached unofficially by those looking for prospective customers. Data sharing is invaluable for improving businesses. But in several cases, the information is put up for sale for a few lakhs of rupees and is bought by organised gangs indulging in various kinds of frauds," a cyber police officer said. By feeding the data into the easily-available 'brute force' software tools, fraudsters generate various possible passwords against an email id or bank accounts in under a minute. Once the accounts are hacked, financial fraud like illegal money transfer is readily done. One of the most common frauds being committed by hackers is to misguide business partners by sending emails from similar looking email ids and asking them to transfer money to new accounts. Sep 14, 2015 | WASHINGTON: Indian researchers have developed a new keystroke algorithm that can use unique human typing patterns to make online authentication processes more secure, reliable and cheap. Like fingerprint scans, retina scans and facial recognition, keystroke dynamics are a biometric -- they measure a unique human characteristic. "As the typing pattern varies from person to person, this can be used as a suitable method for the authentication process more effective than others," researchers J Visumathia and P Jesu Jayarin wrote in the Journal of Applied Security Research. "The information needed for the process is using the various software systems already present in the computer, leading to a decrease in costs," researchers said. The new keystroke template algorithm combines measures from existing models to increase precision. To test their algorithm, the researchers built a programme that users could log into using passwords of varying length. While entering their credentials, keystroke dynamics were recorded. Results indicate that their algorithm was successful in decreasing login errors and making improper authentication very unlikely, thus advancing keystroke dynamics analysis as a viable e-security measure. Wednesday 14th October, 2015 - US healthcare providers who fail to make cyber security a strategic priority over the next five years, face the risk of putting $305 billion of cumulative lifetime patient revenue under threat, a study by global management consulting company Accenture has revealed. The significant increase in adoption and use of electronic medical records (EMRs) and other healthcare technology has created a wealth of electronic information that includes patient data such as dates of birth, home addresses, social security records, insurance details and medical data. This treasure trove of information is increasingly being targeted by cyber attackers, states the report, titled 'The $300 billion attack: The revenue risk and human impact of healthcare provider cyber security inaction', released Wednesday. Buttressing its point, study points out that in 2014, nearly 1.6 million people had their medical information stolen from healthcare providers, according to the US Department of Health and Human Services Office for Civil Rights. Accenture analysis predicts more than 25 million peopleor approximately one in 13 patients will have their medical and/ or personal information stolen from their healthcare provider's digitized records between 2015 and 2019. In many cases, the patient's response could be to walk away from the healthcare provider that failed to protect his/her data. Based on medical identity theft information by the Ponemon Institute, Accenture has calculated the number of affected patients who would become victims of medical identity theft and quantified the patient revenue that would be put at risk. "What most health systems don't realize is that many patients will suffer personal financial loss as a result of cyberattacks on medical information," said Dr. Kaveh Safavi, managing director of Accenture's global healthcare business, in a press release. "If healthcare providers are complacent to safeguarding personal information, they'll risk losing substantial revenues and patients as a result of medical identity theft." Unlike credit card identity theft, where the card provider generally has a legal responsibility for account holders' losses above $50, victims of medical identity theft often have no automatic right to recover their losses. 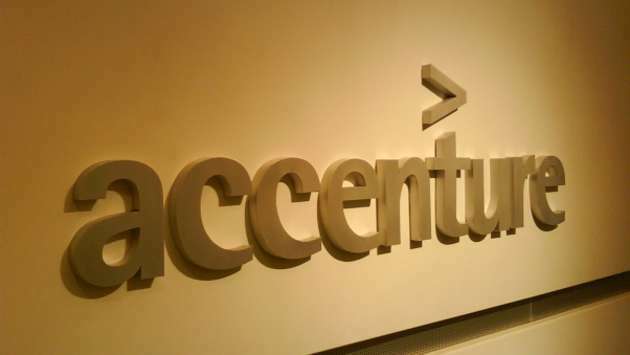 Accenture projects that of the patients likely to be affected by healthcare-provider data breaches over the next five years, 25% of patients or 6 million people will subsequently become victims of medical identity theft. Accenture analysis shows that healthcare providers are at risk of losing $305 billion in cumulative lifetime patient revenue over the next five years due to patients switching providers because of medical identity theft. Applying this methodology to recent healthcare provider data breaches, Accenture estimates that each provider organization lost an average of $113 million of lifetime patient revenue for every data breach it suffered in 2014. In addition, one in six or 16% of the affected patients or 4 million people could be victimized and have to pay out-of-pocket costs totaling almost $56 billion over the same time period, the statement said. Addressing cyber security proactively can improve a provider's ability to thwart attacks by an average of 53%, Accenture research shows. Yet, according to the report, there is a significant gap in how well prepared they are to deal with such inevitabilities. October 17, 2015 - U.S. authorities are reported to be investigating whether Russian hackers have infiltrated the Dow Jones financial news company to steal market-moving information prior to publication. The breach was "far more serious than a lower-grade intrusion" a year ago, Bloomberg News reports, citing sources. There has been no reaction from the White House or the State Department. But Bloomberg reports the Federal Bureau of Investigation, Secret Service and the Securities and Exchange Commission are leading the investigation, which began at least a year ago. However, a Dow Jones spokeswoman expressed skepticism about the Bloomberg report. "Since Bloomberg published its article, we have worked hard to establish whether the allegations it contains are correct. To date, we have been unable to find evidence of any such investigation," Dow Jones spokeswoman Colleen Schwartz said in an email. But the FBI confirms it is looking into the hacking incident, though it did not comment on whether other U.S. government agencies are doing so as well. Dow Jones, the publisher of the Wall Street Journal and a unit of Rupert Murdoch's News Corp, disclosed last week a breach of its systems that put payment card and contact information of about 3,500 individuals at risk. Bloomberg said the current hack is considered far more serious. The news agency said it was not clear if the two incidents were related. Dow Jones had said that there was unauthorized access to its systems at certain times between August 2012 and July 2015. Bloomberg said it was not clear if the information stolen included news stories, or embargoed financial data that had not yet been published. "To the best of our knowledge, we have received no information from the authorities about any such alleged matter, and we are looking into whether there is any truth whatsoever to this report by a competitor news organization," said Dow Jones as quoted by the French News Agency (AFP). The case comes on the heels of numerous other hacking episodes involving sensitive market information. U.S. prosecutors in August brought charges against a pair of hackers in Ukraine who stole unpublished corporate press releases from online public relations services like Business Wire and sold them to people who traded shares on the information.